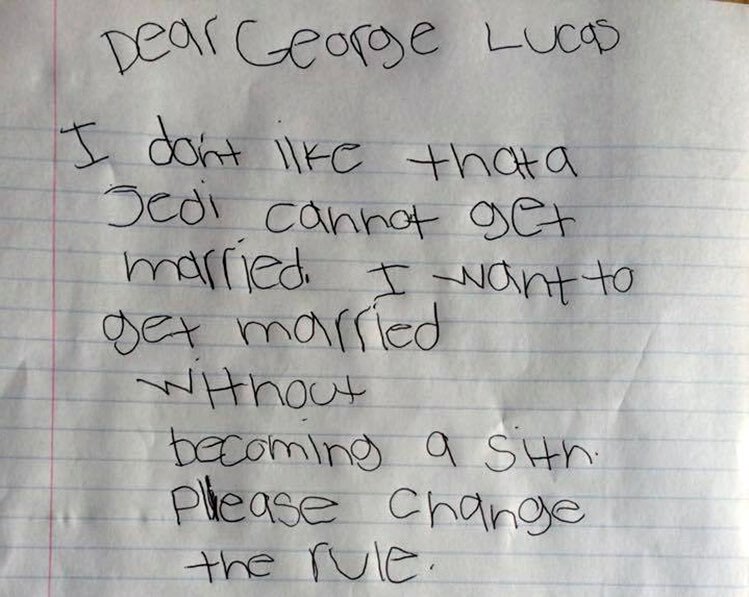 A seven-year-old super fan of the Star Wars saga was concerned about the “no marriage” rule for Jedis, so he sent a letter to George Lucas and asked if it could be changed. “It sounds like the Force is strong with you, and you are showing great wisdom by asking your question. To be a Jedi is to truly know the value of friendship, of compassion, and of loyalty, and these are values important in a marriage. The Sith think inward, only of themselves. When you find someone that you can connect to in a selfless way, then you are on the path of the light, and the dark side will not take hold of you. With this goodness in your heart, you can be married. His mother, Peggy, shot a cute video of Colin opening the package.